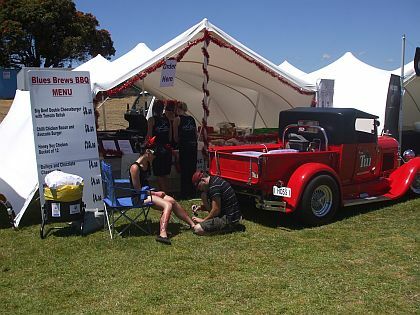 On Waitangi weekend, 6th and 7th February 2010, Tauranga will be the place to be when the inaugural Tauranga City Air Show fills the skies over the city’s airport, providing a dynamic event for both Bay of Plenty citizens and visitors alike. The weather was great, the music was fantastic, and the whole team had a great time! See us in action in the Weekend Sun, and BOP Times pictures. We have been Soooo busy! 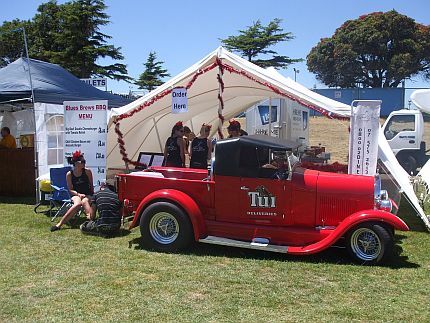 Wow, it has been so busy with Christmas events, Weddings and lots of fun parties here in Tauranga and beyond. We did get a few days holiday, nice to get together with friends and family. The garden has really come along with the great summer weather and we are now eating lots of fresh vegies, straight off the plants, so deliscious. Food Gurus Catering has been named as the official VIP caterer for this years Raggamuffin music festival, featuring the likes of Shaggy, locals Katchafire and Pacific Herbs. Congratulations to everyone in the Food Gurus team, for being nominated in to the finals of the 2009 Westpac Business Tauranga Awards. I have just completed planting out our spring garden, growing some wonderful, fresh home grown vegetables for our up coming events. Check out our party hire services menu. We supply quality food service equipment, from crockery and silverware to heavy duty catering equiipment. All prices include GST, local Tauranga delivery and pick up. We are really getting lots of Christmas event bookings, glad to see that businesses in the Bay are looking to end the year with some fun. Evan and Rach's wedding was great! After over a year of planning, we had the most wonderful day, with the whole event just perfect!